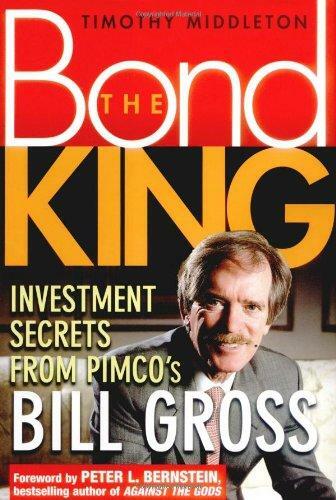 Although younger readers might not believe it, there was a time when Janus Henderson’s Bill Gross was the biggest bond trader in the world. In fact, there was even a book which proclaimed him the original “Bond King”. 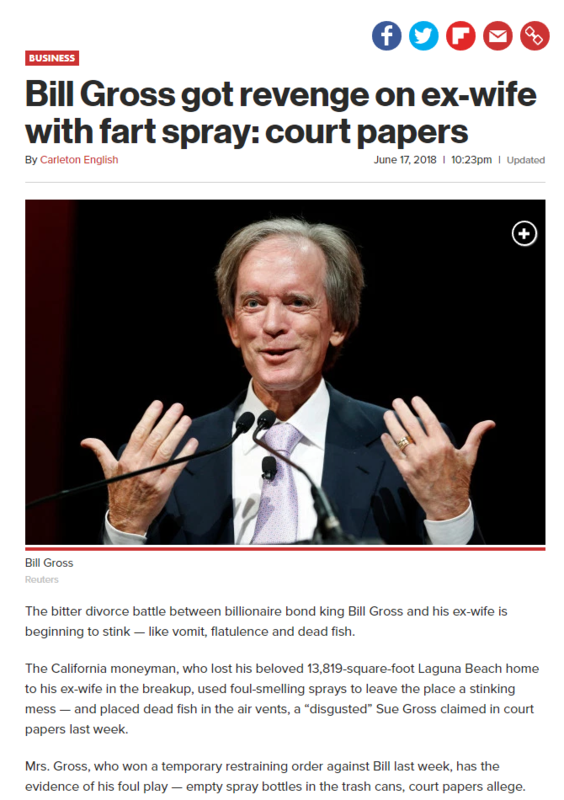 During his tenure at PIMCO, Bill spent four decades building the West Coast money management firm into a behemoth that managed over $2 trillion. However, in a surprising move in September 2014, Bill left PIMCO for the firm of Janus Henderson. This was viewed as quite the coup for the smaller money manager. There Bill set out to recreate what he had accomplished at PIMCO. 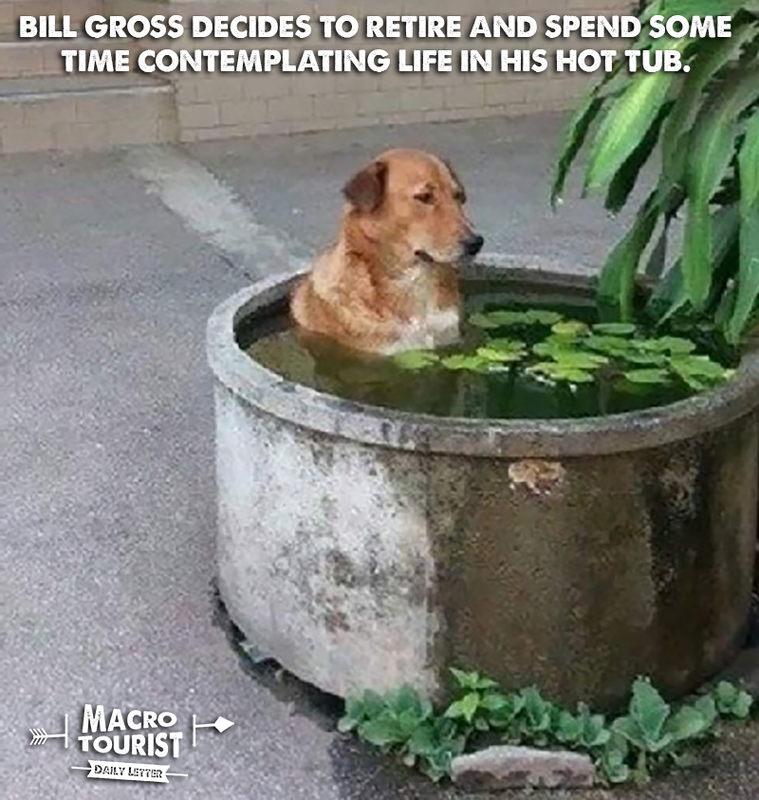 Unfortunately, it appears that “Bill-alone” wasn’t the entire secret sauce for PIMCO’s success over the decades, and after some mediocre returns at Janus, last week Bill announced he was hanging up his skates and retiring. During an exit interview at Bloomberg, Bill fessed up to what he believed to be the main reason for the poor performance of his fund, but before we get into the meat of the post, a quick aside about another potential reason. It has long been known that money managers who are experiencing a divorce or other personal negative events underperform their peers. Heck, I recall reading about one of David Einhorn’s biggest supporters who made an exception in his case because he believed the rule didn’t apply to David. He concluded by saying there should be no exceptions. Well, it’s difficult to argue that Bill’s divorce has not been on his mind. It’s tough to post good returns when you are taking time out of the trading day for those kind of stunts. 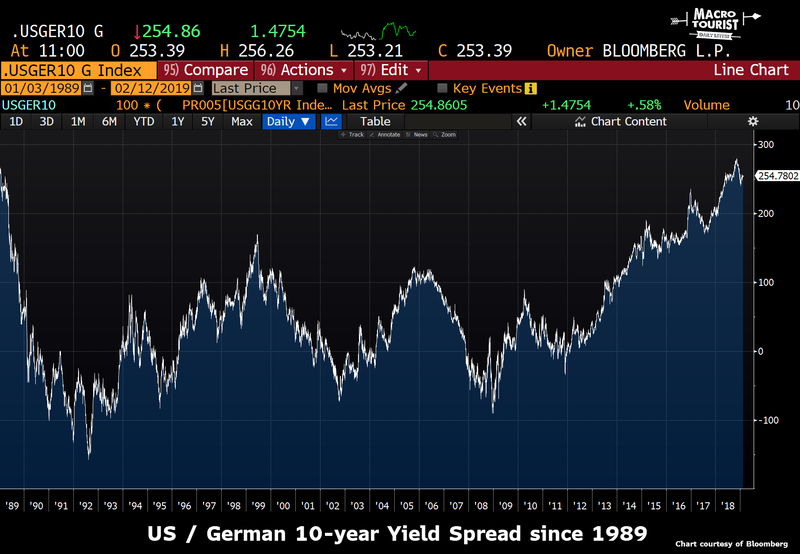 Now before we go any further, let me tell you that I have been 100% in Bill’s camp regarding the US-German 10-year yield spread. 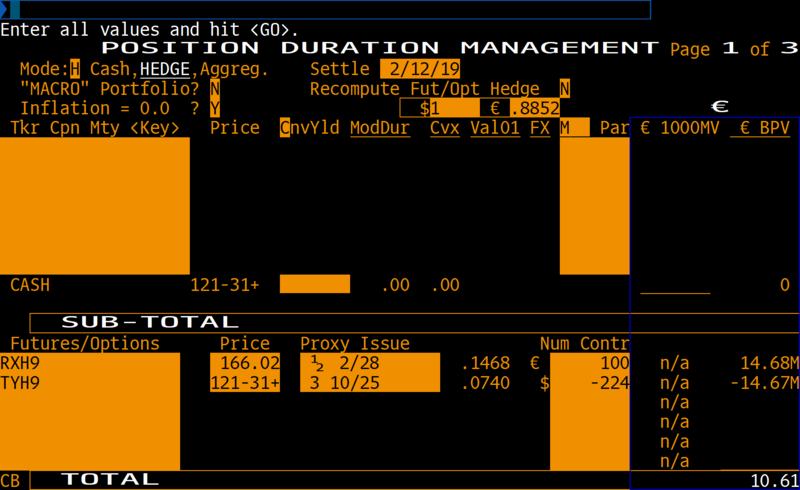 I have pounded the table at various times about the opportunities being short-bunds-long-US-treasuries, so I am by no means faulting Bill for his trade. In fact, I commiserate with Bill as this spread has been one of the most exciting yet disappointing opportunities in macro land over the past few years. Yet in hindsight, it easy to recognize that this has been Japanese JGBs all over again. Remember the line that you can’t call yourself a true macro trader until you have lost money shorting JGBs? 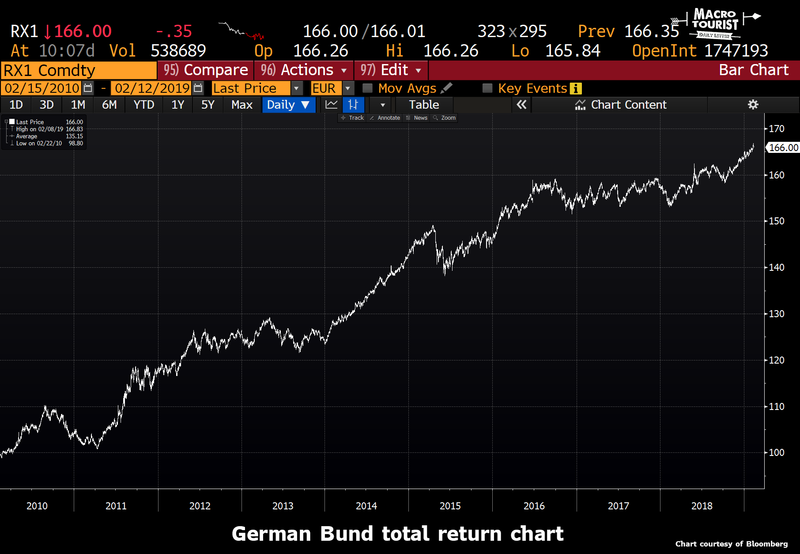 Well, this has just been the next iteration with Europe making all the same mistakes as Japan did a decade earlier (with a new bunch of macro traders foolishly fading the German bund rally just as they did with JGBs). Europe continues to administer a policy of balancing budgets with fiscal austerity all the while providing extraordinarily easy monetary policy. The result is exactly the same as Japan – a stop-and-go economy that never manages to reach escape velocity. And in the meantime, interest rates refuse to get off the mat. There is no sense rehashing all the reasons why bunds continue to defy gravity. Our job is to figure out if this will ever change. I don’t know if German bund yields will head back higher anytime soon. The European economy is quite a mess and there seems to be little to cheer about. 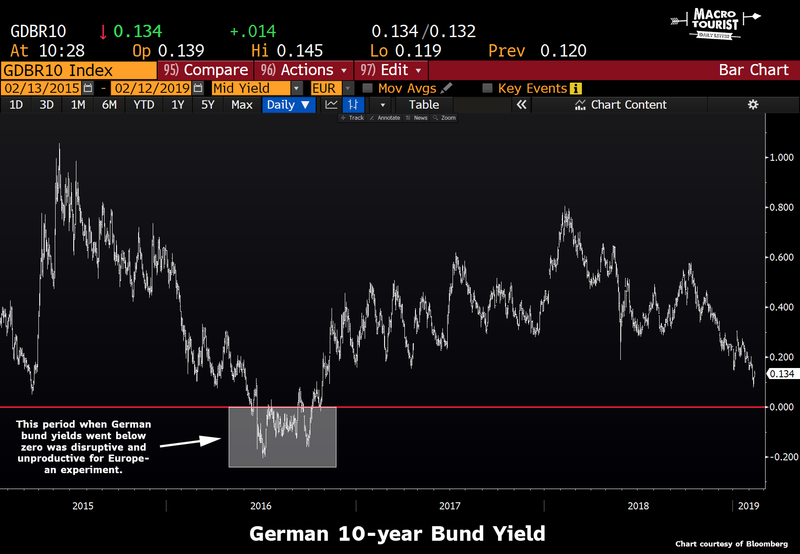 But I know that allowing German 10-year bund yields to fall below zero again will do no one any good. Negative yields are a toxic abomination that cause an undue amount of stress to pension funds and the banking system. My guess is that zero will be a line in the sand for the European governments. I know entire parts of the German yield curve are below zero, but I think there is a limit to the amount Europe will allow bunds to appreciate. My spidey-sense says that a zero 10-year bund yield is about the spot when things get serious. 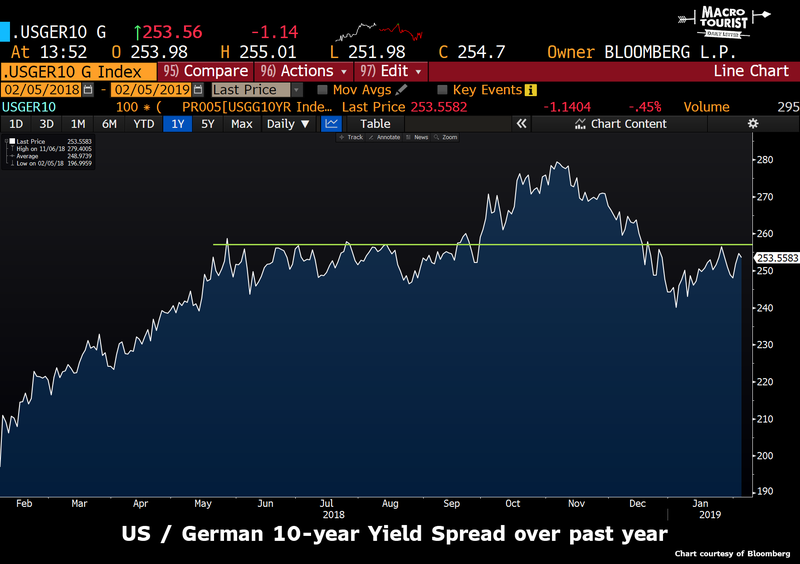 I don’t have any data to back this view, but I feel that as we get closer to zero, the risk reward proposition for a bund short greatly ameliorates. Yet my biggest signal for wanting to take this trade is none other than Gross himself. There have been a whole host of famous investors who have tapped out at the most inopportune moment. The most famous being Julian Robertson’s closing of his value-stock-oriented hedge fund in the dying days of the DotCom madness. 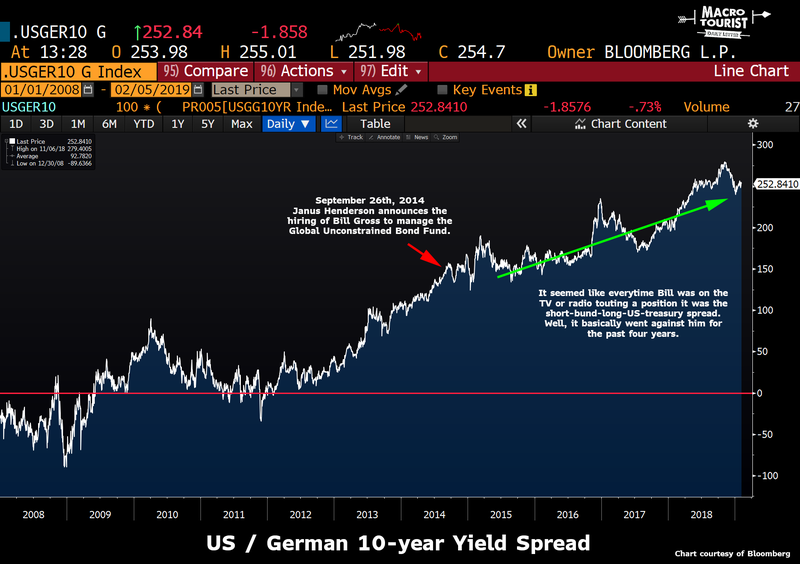 The fact that Gross is quitting the money management business and basically blaming the German bund Treasury note spread makes me want to put this spread trade on in size. It’s nothing personal Bill. If I had being lugging around a losing position for two years and finally decided to cut the cord, I would encourage all my pals to put it on as the coast would now be clear. If we examine the spread, Bill is not leaving at all-time wides, but rather after blowing out to 280 basis points in the final days of October, the spread has sunk back down into the 259-240 bps range. I’m no technician, but it certainly looks like you can lean short against that 260 bps resistance. It’s approximately 2 TY futures for every 1 RX (2.24 to be exact). I’m not sure if the bund is headed lower or US notes are headed higher, but I like this spread trade. Late last year we ticked at levels that were last seen in 1989 while we are now 275 basis points higher from the 2011 lows. Will German inflation really be this much lower than US inflation over the next 10 years? I somehow doubt it.